The opinion of Tweed, who later set new records for city corruption, might be discounted. New York politicians were a scheming lot who mixed politics, patronage and principle in unequal measures. The New Yorkers with whom Mr. Lincoln dealt were often childish, peevish, impatient, and impetuous. But despite their unpleasant behavior, Mr. Lincoln had little choice but to use their talents and resources for his own patriotic purposes. But telling the good guys from the bad guys was difficult. It was hard enough to tell to what party and what faction a politician owed his current loyalty. Indeed, it was hard to follow Civil War politics in New York without a scorecard. Consider former Senator Daniel S. Dickinson, who sought the Democratic presidential nomination in 1860 as a “hard” and “anti-Regency” Democrat sympathetic to the South. By 1864, Dickinson was a “War Democrat” who came close to being nominated for Republican or “Union” nomination for Vice President. Before the Civil War John A. Dix was also a Democrat in good standing — serving as Secretary of Treasury for the final months of the Democratic Buchanan Administration. But under President Lincoln, General Dix was regularly deployed to handle politically difficult situations. Or consider A. Oakey Hall, who was elected district attorney of New York in 1863 with Republican and Mozart Hall support. Hall had started out political life as a Whig. He became a Know-Nothing in the mid-1850s before joining the Republicans. But with election to city office, the dapper Republican became a dapper Mozart Hall Democrat when he was elected District Attorney. Eventually “Elegant Oakey” switched to Tammany Hall clothes. The Republicans in New York also came in many outfits. Many of the former Whigs were closely aligned with Secretary of State William H. Seward and Albany Evening Journal editor Thurlow Weed. Many of the former ‘soft” Democrats in the Republican Party were more radical than the former Whigs. Republicans often sought to balance these factions. In 1860, for example, they nominated former Whig State Chairman Edwin D. Morgan for Governor. While Morgan was close to Thurlow Weed, the nominee for lieutenant Governor, Robert Campbell, was in the anti-Weed camp. 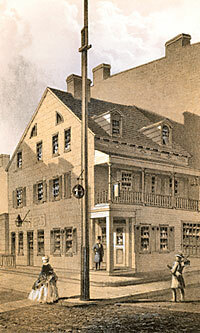 Democrats took advantage of splits in the old Whig camp caused by differences over emancipation and civil liberties. In 1862, they encouraged those former Whigs who had formed the Constitutional Union Party to hold their convention the day before the Democratic one and nominate a statewide ticket that the Democrats subsequently endorsed. In return the Democrats endorsed two “Silver Gray Whigs” — former Governor Washington Hunt and James Brooks — as nominees for Congress. Representing New York City, Brooks became one of the most prominent opponents of Lincoln Administration policies — as both an editor of the New York Express and a politician. He was a Whig turned Know-Nothing turned Democrat. In 1860, he supported Mr. Lincoln’s candidacy. In 1864, he supported George B. McClellan. Many New York Republicans were particularly influential on the national scene. Businessman Simeon Draper took over the state Republican chairmanship from Edwin D. Morgan in 1860 and served until 1862 when more Radical Republicans took over the party organization. The wealthy Morgan had been elected Governor in 1858 but kept the post of Republican National Chairman. When Senator Morgan gave up the party post in 1864, it was to another New Yorker, New York Times Editor Henry J. Raymond. The Woods weren’t the only brother act. Two Republican Conkling brothers — Roscoe and Frederick — served in Congress as Republicans in 1861-63. Roscoe in particular made himself useful to President Lincoln, but he was feisty enough for both brothers — picking fights with the House’s top Republican, Pennsylvania’s Thad Stevens. His brother-in-law, erstwhile Democratic Governor Horatio Seymour, wasn’t very fond of him either. Another friend of the railroads and Democratic railroad executives was Albany Evening Journal Editor Thurlow Weed, who was a prime supporter of Secretary of State William H. Seward. Republican Weed’s support of President Lincoln was less reliable. But at crucial moments, Mr. Lincoln reached out to him — just as Mr. Lincoln did to Weed’s arch rival, Tribune Editor Horace Greeley, another Republican. Even supporters of the Administration and its war aims had trouble with the newspapers who supported the war. “The Tribune and Post and Independent abound with the most outrageous lies. There is a great deal of carelessness in them,” wrote Frederick Law Olmsted, who ran the United States Sanitary Commission. 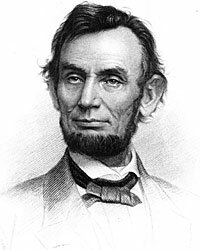 He added that “there is also, I am sure, a great deal of intentional falsehood….”9 But President Lincoln had enough battles on his hands in the Old South. He could not afford to aggravate hostilities with the press and their political allies in New York. Reaching out to cantankerous critics in New York became a regular presidential ministry. Mr. Lincoln had to get along with Unitarian Henry W. Bellows, Congregationalist Henry W. Beecher, and Roman Catholic Archbishop John Hughes. He had to reach out to Democratic National Chairman Belmont and Republican National Chairmen Morgan and Raymond. He even attempted to pacify the legendary crank, New York Herald Editor James Gordon Bennett. These activities required the fortitude of a saint and the dexterity of a trapeze artist. Mr. Lincoln said of one New York official that he checked under his White House bed each night to see if the politician was lurking there in search of additional patronage. Luckily, Mr. Lincoln had the additional patience that New Yorkers demanded of him. Allen Thorndike Rice, editor, Reminiscences of Abraham Lincoln by Distinguished Men of His Time, p. 401-402 (James B. Fry). Gideon Welles, Diary of Gideon Welles, Volume II, p. 130 (August 13, 1864). Sidney David Brummer, Political History of New York State During the Period of the Civil War, p. 37. Alexander B. Callow, Jr., The Tweed Ring, p. 24. Allan Nevins, The Emergence of Lincoln: Prologue to Civil War, 1869-1861, Volume II, p. 208. Gideon Welles, Diary of Gideon Welles, Volume II, p. 43. Reinhard H. Luthin, The Real Abraham Lincoln, p. 377. Sidney David Brummer, Political History of New York State During the Period of the Civil War, p. 295. Laura Wood Roper, FLO: A Biography of Frederick Law Olmsted, p. 211 (Letter from Frederick Law Olmsted to Charles Loring Brace, September 30, 1862).